Soaring out of Brightest Day, the Birds are back in town! Because you demanded it, fan-favorites Gail Simone (Wonder Woman, Secret Six) and Ed Benes (Justice League, Green Lantern) reunite to reinvent the book where they made their explosive debut as a team. 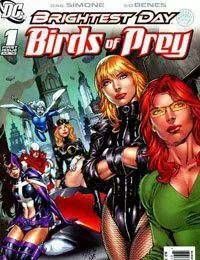 Oracle, Black Canary, Huntress and Lady Blackhawk all return to Gotham City where they belong - and theyve brought a couple of new friends (or are they foes?) along with them!